As a pre-service teacher at the Werklund School of Education I realize how fortunate I have been to take a glimpse into the Calgary Science School (CSS) for my first field practicum. With a capped student wait list, this charter school is rooted in inquiry and clearly on course with establishing an ecological model of education. Instead of starting with the curriculum, teaching the subject matter, and allowing time only at the end of class for inquiry, at CSS teachers start with and build upon inquiry relevant to student interests and the curriculum. Alberta Education’s new Student Act signed in May 2013 has initiated curricular redesign that emphasizes inquiry-based, student centered, and collaborative environments. There has been a large debate on how to best incorporate these aspects into an already busy school schedule. Although my time at the CSS has been brief, I have observed an administration that invests in teacher inquiry and collaboration, a procedure that promotes these activities throughout the entire school. This important information bulletin provides details on our new term 1 report card assessments in physical education at CSS. 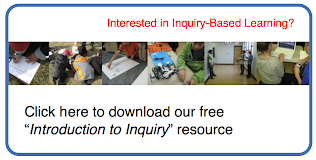 As we hope many parents are aware, this year has provided us with the opportunity to re-think our approach to inquiry-based physical education (see Connect! blog post) as well as our approach to end of semester assessments in PE. Earlier this term we shared our proposal for physical education assessment reform with our CSS parent council. The council were in support of this new approach to reporting with the suggestion that we share both our rationale and process with parents via the PE website. A focus of our external collaboration strategy this year is to not only track and maintain our social capital metrics, but to promote deeper collaborations with the school boards, post secondary institutions and educators in our evolving network. After a school tour with teachers and administrators from Buffalo Trail Public Schools in the 2012/2013 school year we reflected with Assistant Superintendent Lisa Blackstock about the visit and how we could broaden the experience. We hosted a group of teachers and administrators again this school year for a school tour and a full day of facilitated planning with Learning Coaches and teachers from Calgary Science School.